Toyota is a Japanese car manufacturer with an excellent reputation worldwide for producing reliable vehicles and using innovative management processes. Founded in 1937, Toyota is one of the largest car manufacturers in the world and strives to ensure customer satisfaction by investing heavily in research and development. If you own a Toyota car, it's important that your tyres are appropriate for your particular model; to this end, we have compiled a short guide to the tyres that should be used with some of the most popular models. A hatchback that has proved extremely popular in recent years due to its eco-conscious hybrid engine, the Prius offers drivers a fantastic all-rounder with excellent fuel economy. Recommended tyres for this model include 195/65R15 and 195/60R15. The Corolla is a small car that is ideal for city dwellers. Tyres for this model range from 155/75R13 to 215/35R18, depending on the specific model and your needs. This subcompact car is also ideal for crowded city streets, and it is the company's most affordable model. The Toyota Yaris has been a hit with urban drivers as it offers the benefits of a small car while also allowing a splash of personality to shine through with many different options to choose from. When selecting tyres for the Yaris, they range between 155/80R13 and 195/50R16. The Camry was originally classified as compact, but over the years it has grown into a mid-size car. This is an ideal family car that offers a comfortable ride and enough space for the weekly shop. You'll want to look for tyres from 185/70R13 to 225/40R19 when getting them replaced. The exact size will depend on your model. This SUV has been a big hit worldwide due to its versatility. Perfect for farmers, builders, parents and off-road enthusiasts alike, this sturdy and powerful machine will take you from A to B in any conditions while keeping everyone inside safe. When shopping for tyres for your Land Cruiser, they will range from 265/70R15 to 295/35R24. A rear-wheel sports car, the 86 is a truly modern performance vehicle that utilises the latest in automotive technology. The design of both the interior and exterior is sleek and attractive, combining with the high spec engine to create a thrilling ride. This sports car requires tyres ranging from 205/55R16 to 215/35R19. Although this sports car isn't produced any more, many people still love owning their Supra models from 1978 to 2002. This stylish performance vehicle made a big impact with its smooth design, powerful engine and exhilarating driving experience. Tyre sizes range from 195/70R14 to 235/45R17. Again, this Toyota sports car isn't in production any more, but it remains in the heart of Toyota enthusiasts worldwide. Drivers still love the models from 1984 to 2007. If you own an MR2, your tyres should be anywhere from 185/60R14 to 225/35R17, depending on your specific model. Before purchasing any tyres for your Toyota vehicle, make sure you have chosen the right size in line with your car's manual or by asking a tyre technician. This way you avoid making any costly mistakes - both to your wallet and your car. At Road Runner Mobile Tyres, we supply, deliver and fit new tyres to cars in most of the Sydney, Melbourne and Brisbane major metropolitan areas. We come to you, whether you're at home, work or elsewhere, and carry out the replacement on the spot. As stockists of all the major tyre brands, we're sure to have the perfect tyres for your Toyota car and budget. 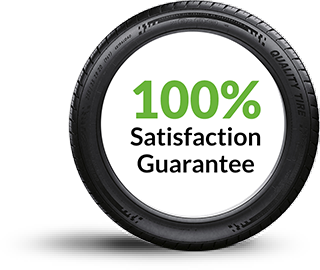 Get in touch to find out more; our expert, friendly team have the knowledge and experience to rectify any tyre-related issue.